1.  We are now well into our second decade of high performance 4-stroke motocross bikes and their derivatives. 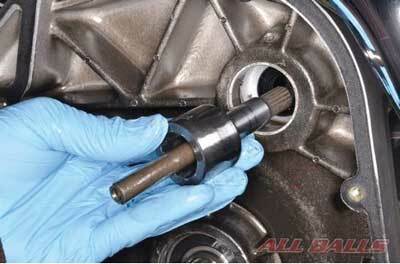 Most folks have become accustomed to the maintenance-needy valve train components and small oil change intervals. The titanium valves cost an arm and a leg and the short skirt pistons don’t endure for long. That is part of the deal for such incredible performance. 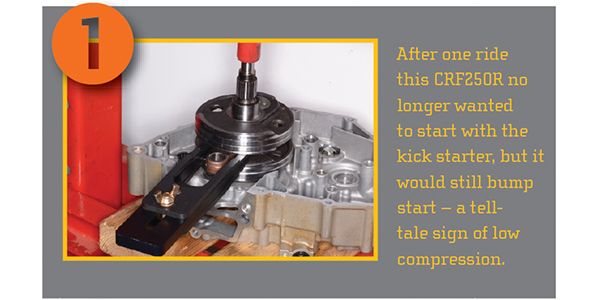 While the top end gets plenty of attention don’t forget about the crankshaft. We provide tech support to our cyclepedia.com members and discuss issues they run into working on powersports vehicles on a daily basis. 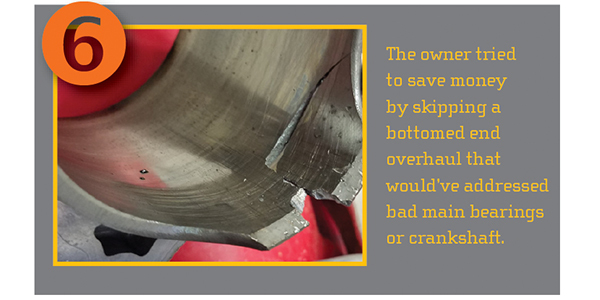 The following is a real-life example of why the bottom end needs love too from a Cyclepedia PRO user servicing a Honda CRF250R. The owner recently acquired this older CRF250R, and was told the engine had a recent overhaul. After one ride the bike no longer wanted to start with the kick starter, but it would still bump start – a tell-tale sign of low compression. The bike was taken to an independent technician with a Cyclepedia PRO subscription. 2. On first evaluation, the compression measured slightly below spec. The technician noticed the kick start operation didn’t feel right. 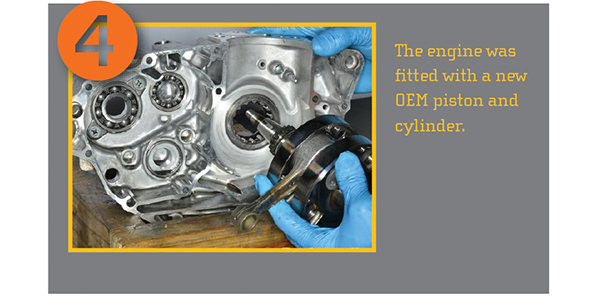 He removed the cylinder head cover to inspect the decompressor mechanism. 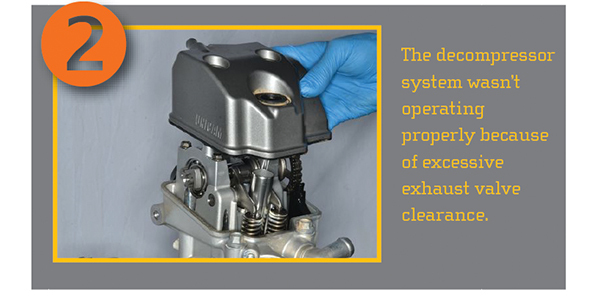 The decompressor system wasn’t operating properly because of excessive exhaust valve clearance. This was improperly creating more low rpm compression on a worn-out engine. The technician corrected the valve clearance and checked the compression again. The engine measured 15 psi under the spec listed in the manual. 3. The technician disassembled the top-end for further inspection. Surprisingly, the cylinder head was in functional condition. The valves were sealed and the camshaft was in good condition. The cylinder and piston were both significantly past the service limits. The side clearance of the big end of the connecting rod was in specification and the radial clearance of the big end on the crank was acceptable. 4. The technician presented the owner with three options in descending order of recommendation. The first was to stop before digging a bigger hole by dumping money into an old bike with many hard hours. It might be better to part ways with the machine and start with a fresher bike. Option two was a full engine rebuild. Split the cases and check everything out and rebuild to factory standard. 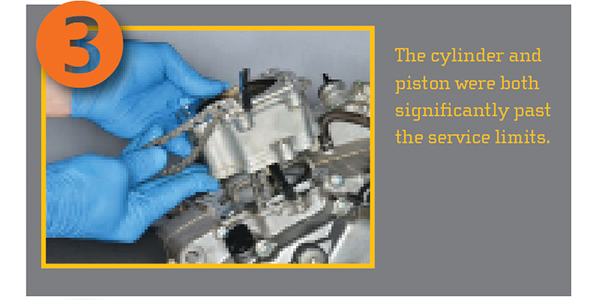 The third option was to replace the cylinder and piston to get the bike back in action as quickly and cheaply as possible. The owner went with the last option, and the engine was fitted with a new OEM piston and cylinder. 5. It ran stronger than ever and then locked up solid. The old crankshaft couldn’t hold up to the now full-powered top end. 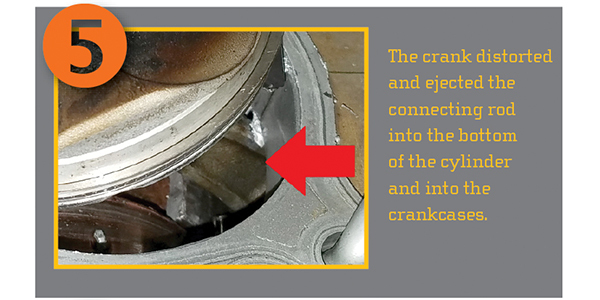 The crank distorted and ejected the connecting rod into the bottom of the cylinder and into the crankcases. While the crankshaft inspection might not be listed on the periodic maintenance schedule, it needs to be considered on these bikes with more than 40 hours – especially if racing or riding hard. The crankshaft was built to win races, not last forever. While a full engine rebuild is expensive, it’s cheaper to fix things ahead of time than risk a major grenade event like this.